LaVerne Biskner died on September 24, 2016. He was 61. 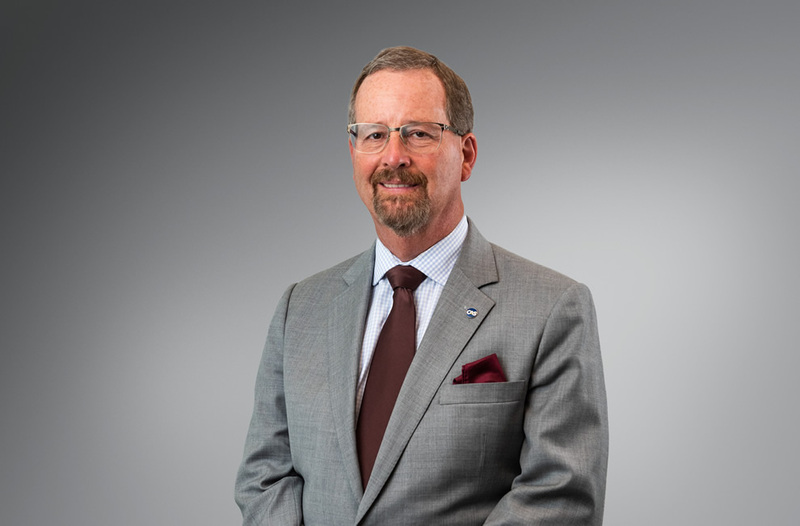 LaVerne is a family name — his father goes by Vern — but Biskner adopted the nickname “Butch.” He first started working in the actuarial field in 1988, eventually becoming a senior manager for Daimler Chrysler Services in Farmington Hills, Michigan. Biskner’s official obituary tells of a full life as a devoted husband to his wife, Loretta, and as proud father of his children, Alaina and Nicholas. Photos on his tribute wall show a warm family man out enjoying nature, having fun in a pool with his children and cuddling with his family on a chair swing. One of Biskner’s nephews recalled feeling a little jealous when Biskner began dating his Aunt Loretta. Biskner soon won the nephew over, however, by taking him and his brothers to see the Star Wars movies — a small kindness that meant a lot to the boys. In addition to his wife and children, he is survived by his father, Vern Biskner; siblings, Carl (Sandra) Biskner, Mary (Jeff) Richardson, Elizabeth (Patrick) McGuire, Bill (Diane) Biskner; and many nieces, nephews, extended family and friends. He was preceded in death by his mother, Mary Louise Biskner. Charles F. Cook, 75, of Shelburne, Vermont, died on January 28, 2017, at his home. He grew up in Bethlehem, Pennsylvania, where, in seventh grade, he met his future wife, Barbara, to whom he would be married for 55 years. After graduating from Liberty High School in 1959, he received a BS in mathematics from Princeton University in 1963, and an MBA from St. Mary’s University in Texas. He held executive posts at American International Group and United Services Automobile Association. In 1988 he founded MBA Actuaries, a successful consultancy, which he sold in 2011. An avid theologian, storyteller and sailor, he was a man of integrity with a wonderful sense of humor and deep-seated convictions. He was always telling jokes, weaving stories and debating everything. According to his wife, Chap liked to say, “I want to live my life so that when I wake up in the morning, Satan sends an email to all his demons saying, ‘Look out! He’s up again!’” He is survived by his wife, Barbara Dotter Cook; brother John Morse Cook; his daughters Melanie Tupaj, Cynthia Coach and Tammy Moshier; and many grandchildren, nieces and nephews. Daniel A. Crifo, 69, of Glen Rock, New Jersey, died on February 18, 2017. He was born and raised in Jersey City, New Jersey, the son of the late Salvatore and Mary A. Crifo. He later moved to Glen Rock, where he lived for 43 years, commuting into Manhattan and then Jersey City to his job. Prior to retiring, he was employed as an actuary and assistant vice president with Verisk Analytics, formerly ISO, for 40 years. Crifo was a parishioner and lector at St. Catharine Roman Catholic Church in Glen Rock. He enthusiastically supported all his children’s endeavors, and he was known for his grace, intelligence, compassion and dry wit. Crifo enjoyed model railroading and reading as well as visiting his beloved Jersey Shore. He served on the CAS Program Planning Committee from 1991 to 2012 and edited CAS publications from 1990 to 2012. Surviving him are his wife, Patricia M. (Bald) Crifo; children, Nicole (James) Gilmartin, Michele (Joseph) Mercurio, Daniel M. (Julie) Crifo, and Suzanne Crifo; and five grandchildren. His family is thankful for Crifo’s caregiver Schlinda Reid, who brightened his days. Donations in Crifo’s memory can be made to research funds and awareness for Lewy body dementia. John W. “Bill” Wieder Jr., who was once the oldest living CAS member, died on March 28, 2017. He was born and raised in Abington, Pennsylvania, and graduated from Haverford College. In 1941 he started a 40-year career with Aetna Life & Casualty in Hartford, Connecticut, holding the vice president and actuary position in the casualty division when he retired in 1981. In WWII he served in the Solomon Islands as a U.S. Army technical sergeant in munitions storage. In the ’50s, he became active in the Republican Party and performed civic work, serving as Habitat for Humanity chapter treasurer and board member, and First Church of Christ administrator. He was especially gratified to help restore a historic 1761 meeting house. Weider could identify on sight almost any antique car by year, make and model, and for many years, he enjoyed driving his 1929 Model A Ford. He was married for 44 years to his first wife, Lois, who predeceased him. A daughter, a daughter-in-law, a sister and her husband also predeceased him. His second wife, S. Jane (Bracy) Kuhlen Wieder, died in August 2018. Other survivors include two sons; two granddaughters and their husbands; two great-grandsons; two step-sons and their spouses, children and grandchildren. Daniel J. “Dan” Flaherty of East Troy, Wisconsin, was born in Brooklyn, New York, to Patrick and Alice (née Endreson) Flaherty on August 7, 1941. He died peacefully, surrounded by his family, after leading them in singing “Danny Boy,” the Irish ballad that inspired his name. Known for his self-deprecating humor and sage advice, Flaherty was proud of his Irish heritage and his Brooklyn Dodgers. A graduate of St. Francis Preparatory School and Fordham University in New York, he founded Milliman’s casualty practice in Milwaukee and retired from the company as a P&C actuary and principal. His career highlights included serving on the boards of Milliman and the CAS. His talent for numbers, astounding memory and unselfish nature will be missed by former colleagues and family alike. Flaherty loved his family and considered them his proudest achievement. He is survived by his wife of 54 years, Katherine Byrne Flaherty; his sister Claire Kirnan; his children, Daniel C. (Angie) Flaherty, Christopher (Julie) Flaherty, Patrick (Alphonzo) Flaherty, Kevin (Warren) Flaherty, and Elizabeth (John) Greene; seven grandchildren and one great-grandchild; and many extended family members. He was predeceased by his parents and his siblings, Patricia, Michael, Donald, Susan and William.